As IT budgets continue to be limited and technology continues to get more complex, digital transformation brings new challenges. This requires organizations to look for new ways to improve quality and speed and to reduce costs. Agile, faster delivery cycles and new complex technologies are changing the ways of testing. Due the increased volume of data there is a higher number of different data sources that feed into data warehouses. End to End automation can help in that it automates the integration and movement of data between these sources to improve data quality and reporting. But due to digitalization testing needs to go beyond just functional automation and encompass all aspects of the development cycle and with that minimize manual testing as far as possible. Some testing enterprises are already following the right path. Digitalization and the ever growing complexity of IT are issues that will affect all industries and enterprises in the years to come and they will require effective testing strategies to ensure success. Testing leader will need to look at their testing organization`s performance, methods of working, skills and experience to ensure that they are equipped to deal with the challenges to come. Testing organizations will need to culturally change. To support innovative testing initiatives there needs to be investment in the new generation of technology and improvement of core systems, processes and data. marcus evans ist auf die Recherche und Entwicklung von strategischen Veranstaltungen für Führungskräfte spezialisiert. marcus evans realisiert über unser internationales Netzwerk mit 63 Niederlassungen jährlich über 1000 Veranstaltungstage zu strategischen Themen in den Gebieten Unternehmensfinanzierung, Telekommunikation, Technologie, Gesundheitswesen, Transportwesen, Kapitalmärkte, Personalwesen und Unternehmensverbesserung. marcus evans liefert seinen Kunden insbesondere Wirtschaftsinformationen und Geschäftswissen, welche ihnen ermöglichen, wertvolle Wettbewerbsvorteile nachhaltig zu sichern und steuert damit einen wichtigen Beitrag zum Erfolg bei. 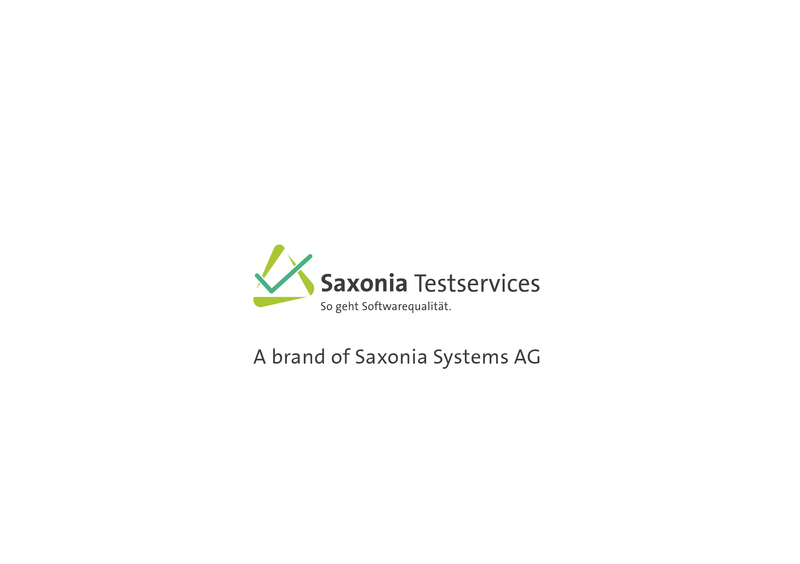 Saxonia Testservices is synonymous for clear defined project visions, experienced teams, partnership-based communication and transparency as well as a strong passion for software quality. As a trustful testservice provider, we are familiar with the whole software lifecycle and provide the assurance of quality alongside our customers.